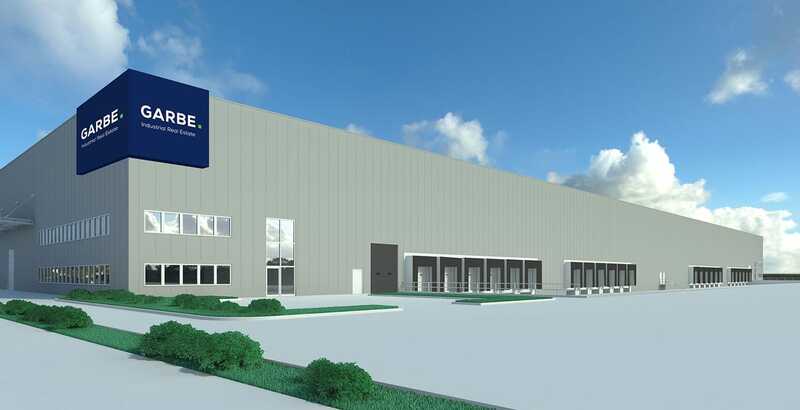 Garbe Industrial Real Estate GmbH is planning to build a new logistics property in Kempen in the Lower Rhine region, covering some 22,000 square metres. To this end, the Hamburg-based project developer has acquired a plot of land with an area of ​​92,500 square metres in the Industriering Ost business park. Following the demolition of the cold-storage hall and workshop and the preparatory earthworks, the construction of the new logistics centre is scheduled to begin in June. The facility will be subdivided by particularly large fire areas covering approximately 10,800 square meters. The future equipment also includes 22 gates, including two jumbo doors, for incoming and outgoing goods, as well as an energy-efficient LED lighting system. Completion is scheduled for December 2017. “We are just beginning the dialogue with market participants regarding rental,” says Jan Dietrich Hempel. Interest is high, not only because of the lack of modern logistics space in the region, but also because of the excellent transport connections. The Kempen location has direct access to the A 40 motorway, with connections to Venlo and Rotterdam. The A 57, A 44, A 52, and A 61 motorways, which connect important economic areas, can also be reached quickly. Duisburg harbour and Düsseldorf airport can be reached in less than 30 minutes’ drive.